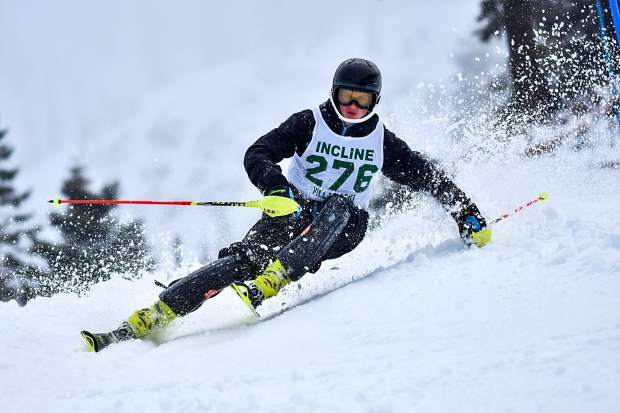 Incline’s Winston Pretti rips down the mountain at Alpine Meadows on the way to first place on Wednesday, Jan. 10. See more race photos at lefrakphotography.com. 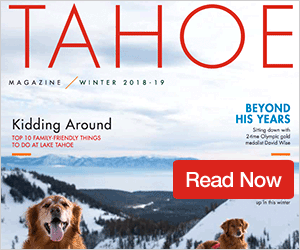 The North Tahoe boys and girls’ teams took control of the second race of the Nevada Interscholastic Activities Association Tahoe Basin Ski League with first-place finishes for both squads. The slalom event was held at Alpine Meadows on Wednesday, Jan. 10, and featured seven teams battling rainy and snowy conditions throughout the day at the mountain. The win marks the second in a row for the North Tahoe boys’ team, which placed five skiers in the top 10 and produced a high score of 205 points. George Whittell was next with 180 points, followed by Douglas with 172 points, South Tahoe with 168 points, and Incline with 120 points. Truckee was sixth with 90 points. Though the Lakers took the overall win, the fastest skier on the mountain belonged to Incline. Senior Winston Pretti finished the two runs with a combined time of 1 minute, 24.81 seconds to claim first overall. Whittell’s Payton Norris posted the day’s fastest run, with a time of 38.31 for his first run, and finished in second place with a total time of 1:25.35. North Tahoe sophomore Guthrie Goss claimed third with a time of 1:27.24. The winner of the season’s first race, Douglas’ Sean Dunkelman, was next in fourth place with a time of 1:27.60. North Tahoe’s Quinn Earley rounded out the top five with a time of 1:27.89. North Tahoe’s two other scoring skiers were Thomas Mercogliano (ninth place, 1:32.25) and Oliver Fralick (10th place, 1:33.09). Drew Dolan led the Truckee boys with a time of 1:54.16 for 18th place. The North Tahoe girls put on a dominant showing on the hill with the three fastest total times of the day, and finished with a high score of 214 points. 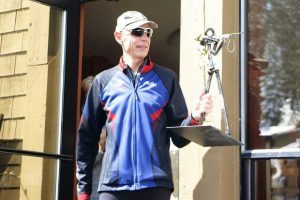 Truckee was next with 190 points, followed by Douglas with 168 points, South Tahoe with 158 points, and Incline, whose two skiers produced 104 points to land the team in fifth place (the top four skiers scores are used to create a team score). Magnolia Neu led the Lady Lakers with the fastest time in each of the day’s two runs. Neu posted a time of 46.51 on her first run, and then went nearly three seconds faster than any skier in her second run with a time of 43.49. Anna Yamauchi was next for the Lakers with a combined time of 1:36.63, followed by teammate Maya Wong with a time of 1:37.00. Incline’s Belle Johnson led the Highlanders with a time of 1:38.05 for a fourth-place finish. Truckee’s Danielle Dolan rounded out the top five with a time of 1:38.31. Incline’s other skier, Rachel Meyer was next in sixth place with a time of 1:39.26. The Wolverines also had Susie Greeno (seventh place, 1:40.68) and Hyla Staudenmeyer (10th place, 1:48.07) finish in the top 10. Paige McGarry was North Tahoe’s other scoring skier with a time of 1:45.73 for eighth place. The winner of the season’s first race, Truckee’s Monique Fellows, didn’t ski at the event. 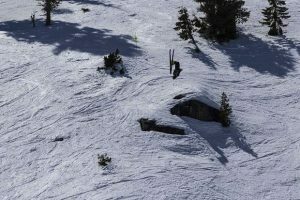 The Tahoe Basin Ski League season will continue on Thursday, Jan. 18 at Kirkwood Mountain Resort with giant slalom racing. 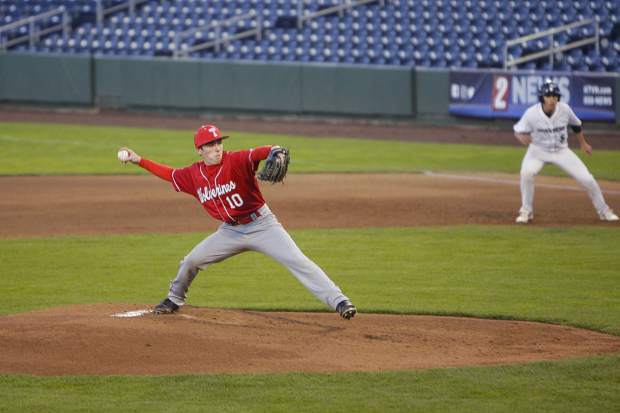 Staff writer Justin Scacco can be reached at 530-550-2642 or via email at jscacco@sierrasun.com.